20th Century Fox's Deadpool has become a bigger hit than anyone imagined, passing the $300 million milestone domestically this weekend with $311.1 and $328.8 million internationally for a global box office total of $639.9 million. While it has dominated its competition over the past three weeks, its reign came to an end this weekend, according to the estimates at Box Office Mojo. The superhero adaptation will be going up against three newcomers, Disney's Zootopia, Focus Features London Has Fallen and Paramount's Whiskey Tango Foxtrot. As expected, Zootopia came out on top with a whopping $73.7 million, the biggest opening ever for Walt Disney Animation Studios. Zootopia's $73.7 million mark bested the $70.2 million debut of Dr. Seuss' the Lorax, for the biggest animated opening weekend in March. London Has Fallen debuted in second place with $21.7 million, followed by Deadpool, slipping to third place with $16.4 million and Whiskey Tango Foxtrot debuting in fourth place with $7.6 million. Gods of Egypt rounded out the top five with $5 million. While this weekend ended Deadpool's reign at the top of the box office, we'll have to wait and see if it grosses more than $1 billion throughout its theatrical run, which will be an incredible feat, since it only cost $58 million to produce. Zootopia is already a hit with critics, with a perfect 100% Fresh rating on Rotten Tomatoes from 30 reviews, but we'll have to see if those numbers hold up over the next few days. London Has Fallen doesn't have enough reviews for a Rotten Tomatoes score, but the comedy Whiskey Tango Foxtrot is faring well with critics, currently holding a 63% Fresh rating. 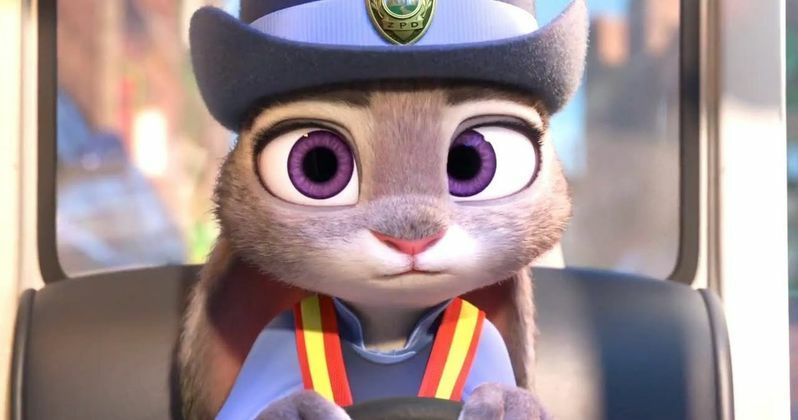 Zootopia will have the widest opening of any of these new comers with approximately 3,700 theaters, with London Has Fallen opening in roughly 3,200 theaters and Whiskey Tango Foxtrot arriving in 2,300 theaters. London Has Fallen is the sequel to the worldwide smash hit Olympus Has Fallen, a non-stop, suspenseful action thriller that delivers high-octane excitement through a heightened sense of authenticity. The visceral intensity springs from a timely premise: after the British Prime Minister passes away, his funeral becomes a target of a terrorist organization to destroy some of the world's most powerful leaders, devastate the British capital, and unleash a terrifying vision of the future. The only hope of stopping it rests on the shoulders of the President of the United States (Aaron Eckhart) and his formidable Secret Service head (Gerard Butler), and an English MI-6 agent (Charlotte Riley) who rightly trusts no one. Morgan Freeman also stars as the Vice President of the United States, with Angela Bassett, Melissa Leo and Radha Mitchell reprising their roles from Olympus Has Fallen. Whiskey Tango Foxtrot is based on the life of journalist Kim Barker (Tina Fey) who decides to 'shake it all up' by taking an assignment in a war zone. There, in the midst of chaos, she finds the strength she never knew she had. Sometimes it takes saying 'WTF' to find the life you were always destined to have. The supporting cast includes Margot Robbie, Martin Freeman, Alfred Molina and Billy Bob Thornton. Glenn Ficarra and John Requa (Crazy Stupid Love) from a screenplay by Robert Carlock (Saturday Night Live, 30 Rock). Rounding out the top 10 this weekend is Risen ($3.8 million), Kung Fu Panda 3 ($3.5 million), The Revenant ($3.3 million), Eddie the Eagle ($3.1 million) and The Witch ($2.5 million). Also opening in limited release is Broad Green Pictures' Knight of Cups, the latest from Terrence Malick, which earned $56,688 from four theaters for a $14,172 per-screen average. 20th Century Fox's The Other Side of the Door opened with 546 theaters for a meager $2,198 per-screen average, but no box office data was listed for Magnolia's The Wave and Strand's Mekong Hotel. The Other Side of the Door is expected to open in approximately 500 theaters, so we'll have to see if there are plans for expansion in the weeks ahead. Looking ahead to next weekend, there will be four new movies hitting theaters on March 11. Paramount's 10 Cloverfield Lane, Sony's The Brothers Grimsby, Lionsgate's The Perfect Match and Focus Features' The Young Messiah. Opening in limited release is Gravitas Ventures' Barney Thomson, Magnolia's Creative Control, Bleecker Street's Eye in the Sky, FilmRise's Lolo, A24's Remember and Well Go USA's Rise of the Legend. Be sure to check back on Sunday for the box office estimates, but, until then, take a look at the projections for the weekend of March 4.